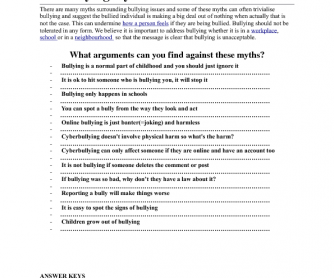 The 5th of November being "Anti-Bullying Day" in France this worksheet will help start discussion with your pupils. 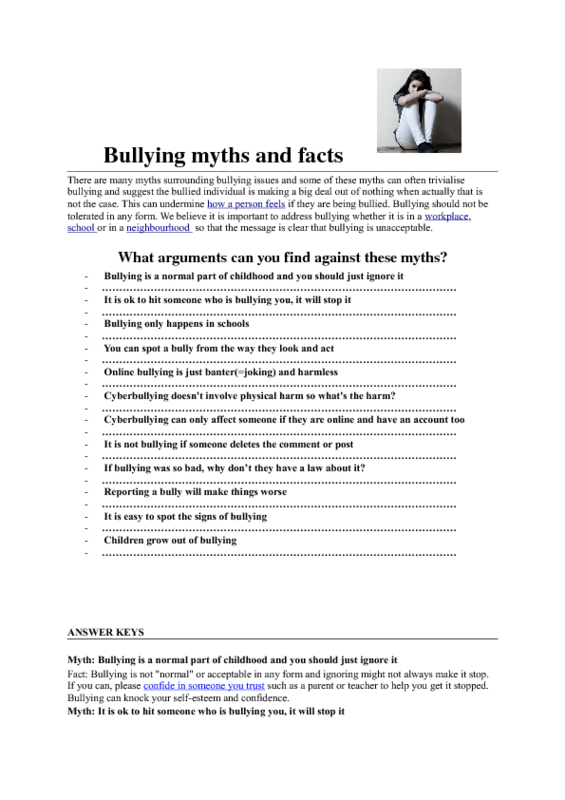 The sentences are myths and facts about bullying like : "Bullying is a normal part of childhood and you should just ignore it" and the pupils are supposed to react and find arguments against these myths. A good subject for a debate. Answer keys are given too to make it easier for you.